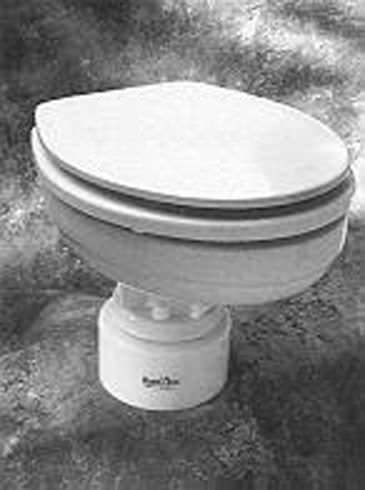 The Royal Flush Classic Station (RFS) is the original Royal Flush toilet. It pioneered the same jet macerator technology now used in our more elegant Royal Flush Superbowl but in a more compact package. 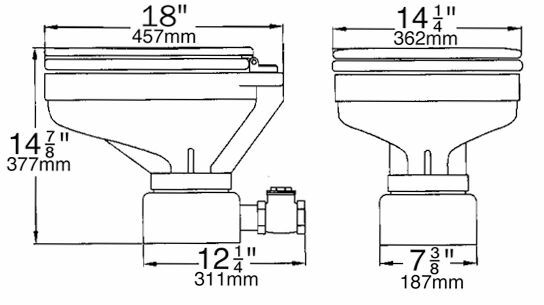 The RFS uses an anatomically correct china bowl and is available in three discharge configurations which are defined as you face the toilet; right (R), left (L), and aft (A). The station consumes less than 1 US gallon per flush.